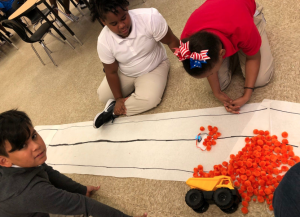 The Dump Truck Incident (also known as the Pumpkin Push) is a problem-solving challenge that can get your elementary students excited and thinking about engineering concepts in a new way. With an inexpensive set-up and a fun problem to solve, let your students loose to figure out the best way to clean up a mountain of gourds from a busy roadway. The responses are huge smiles, big nods, and hearty yes-es! I’ve hooked them. On the floor is my best attempt at creating a highway (paper and marker), a toy dump truck ($5 at Walmart) on its side, and “pumpkins” (orange pom-pom’s purchased from Michael’s) all across the road. The students survey the scene and we briefly discuss what might have happened and what problems may arise because of this spill. Now that we’ve surveyed the problem, it’s time to solve it! As a class, we discuss the forces of motion including push and pull. I ask for volunteers to demonstrate each term. Then I ask how could we use this information to help us with our problem. In every group, they respond that they could push or pull the pumpkins out of the way and clear the roadway. I then talk to them about plows (my students here have no idea what a snow plow or truck plow is) and we research plows together. You could conduct this research on individual laptops, if available, or a big clear touch monitor as group. After they have read up on plows, they are ready to apply their research. I ask them to design on paper a plow they could build to attach to a robot. So far, I have used Ozobots; but this activity could be done with any type of robot. I have plans to try this out with LEGO EV3 robots in the future. 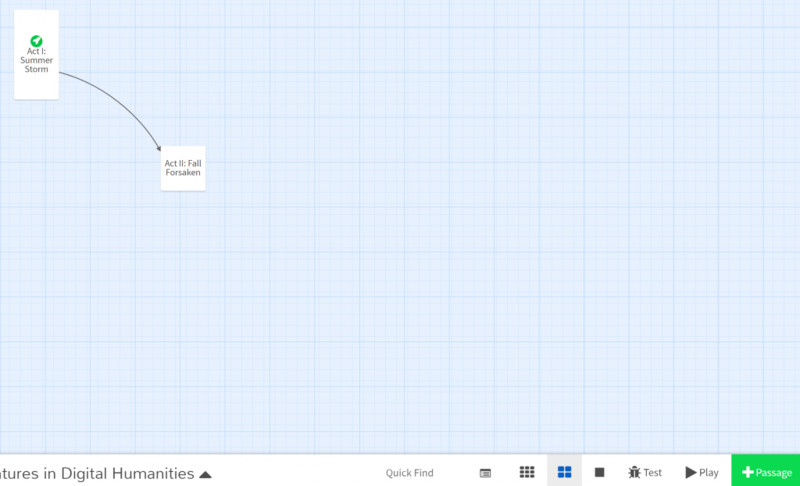 What I like about using the Ozobot is that if I need to shorten the activity, the students can use the “line following” feature to speed things up instead of programming the bots using Ozoblockly. I like that flexibility. Once they have designed their plow attachments on paper, I provide materials for them to build their creations. The first day I did this activity, it was a teacher fail. We are lifelong learners, right? The materials I provided were too heavy for the Ozobot bits. The students’ designs were awesome, but they were just too heavy. Armed with this new knowledge on the second day, I traded the tongue depressors and glue for one index card, two pipe cleaners, and tape. Success! I told the students they could build something to push OR pull the pumpkins out of the way and that they could use all or part of the materials to build their plow. I had scissors available in case they needed to cut their card or pipe cleaners. I also provided a piece of paper with a black line on it and a few of the “pumpkins” so they could test their robot and plow before we moved to the roadway. If students were not successful in pushing the pumpkins out of the way, I encouraged them to work with their group and modify their design….but not to give up! You could modify this lesson to fit so many different scenarios and add other objectives like drag and friction. It’s important to have the students work in groups on this and complete the designing part on paper before they begin construction. It is also important to reflect at the end of the activity as a group about what worked and didn’t worked. One day, some engineers from Exxon-Mobil joined us. I loved seeing them work with the students! 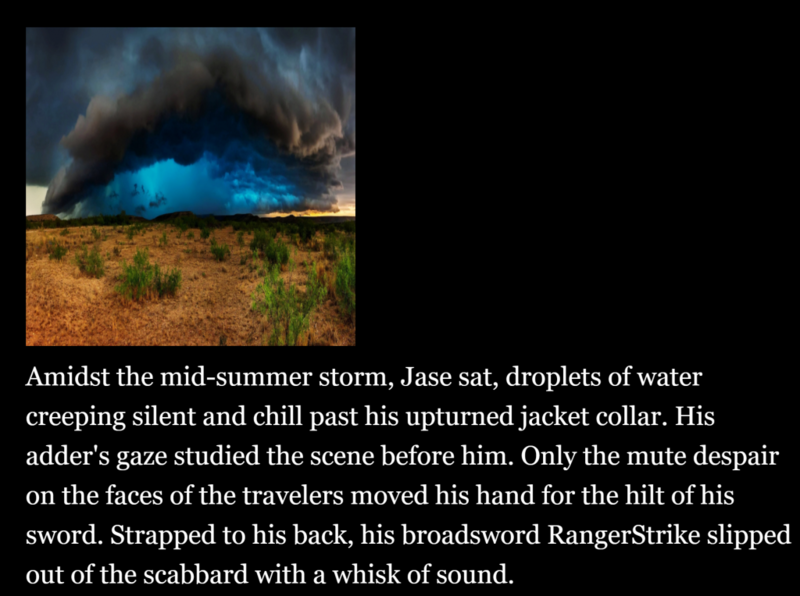 This is a guest blog by Joy Schwartz. Joy is the Beaumont ISD STEM Coordinator and a 31-year veteran mathematics, computer science, and robotics educator. Her passion is providing students with opportunities to experiment with STEM-related tools that they have never worked with (drones, robots, 3D printers, etc.) and discovering their hidden talents! Find Joy on Twitter @joyschwartz or www.layeringlife.wix.com/1313. One extra note from Peggy Reimers: Joy unleashed The Pumpkin Push aka The Dump Truck Incident in October. But I can see where you could easily make the dump truck spill red, green, and white pom-poms for tree ornaments, green pom-poms for St. Patrick’s Day, or pastel pom-poms for spring time. Joy used Ozobots, but many other types of robots could be used in this scenario. Thanks Joy! In May of 2014, TCEA moved into a brand new office space. It’s a wide open space that’s been decorated with appealing artwork and artifacts from TCEA Conventions past throughout the staff and conference center. But we have ONE bulletin board in the staff Commons Area. It is your typical 4 x 6 bulletin board that you would find in a school setting. I must admit it doesn’t receive much attention, so I have kind of deemed myself the captain of the TCEA bulletin board. After all, as a former teacher of 24 years, decorating bulletin boards is in my blood. This past December, as I was mulling over the new bulletin board, I decided to take a maker approach and get the TCEA staff to participate. I took a three-fold approach with the December-February bulletin board. The first part is pretty much a standard activity. Each staff member made a snowflake out of a coffee filter they had folded, cut out their unique snowflake design, and dipped in water with food coloring. It was a quick and easy little craft that made for a nice holiday brain break from the workday. The second part is the focal point of the bulletin board: a snowman. He would be the one surrounded by the staff’s beautiful snowflakes. I tried to reuse or upcycle materials to create the snowman. The eyes were made out of soda pop bottles. I used discarded trays to create his snowball torso and head. The third part of my vision included the 3D printed parts. I used these to create the snowman’s orange nose and red buttons. 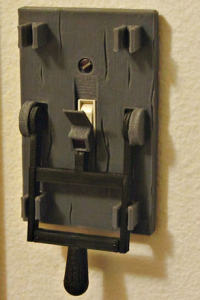 Coming up with no recycled material for these two pieces, I decided to put our 3D printer to good use. If you are wondering when I was going to get to the educational part of this blog…here it comes. 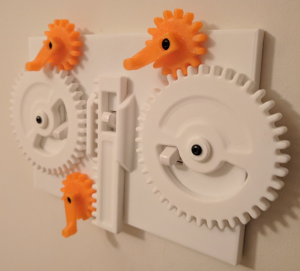 Why not have a bulletin board where the parts are 3D printed by your students? This would be a great class project which includes a plan of action, design, and measurement. Getting everyone involved and invested in creating the bulletin board helps inspire a positive culture, whether you’re in an office or a classroom. Everyone gets to see the fruits of their creative labor as they go about their days. Creating a bulletin board with reused or upcycled materials is another way to get those creative juices going. 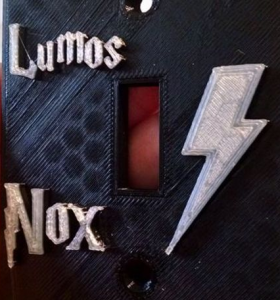 And don’t forget to check out this February blog post for another idea that combines making and 3D printing. Make sure you check the dimensions of your projects before ordering. If you are looking for a shorter length LED, check out this deal of 500 LED diode lights for $8.88. The 500 5mm length set comes with one hundred each of red, orange, white, green, and blue lights. The Straws Builders Construction Building Toy is very popular at Bullard Intermediate School. This 800 set of straws, connectors, and clips is $34.99. The third and fourth graders like to build tall, so if your makerspace has building sets that require the higher the better, this is perfect for you. Consider a purchase of a lightweight step stool with grip rails. Try the Gorilla Ladder at Home Depot. The pricing for this ladder comes in at $34.98. If you already have an OSMO, try their latest release, Detective Agency for $39. An OSMO works with a Kindle Fire and an iPad. The Detective Agency comes with eight maps, a map holder, and magnifying glass and will allow students to solve mysteries around the world. Turing Tumble is a new type of game where players (ages 8 to adult) build mechanical computers powered by marbles to solve logic puzzles. Students will discover how computers work and help them start coding and designing algorithms.The $69.95 kit includes ramps, crossovers, bits, interceptors, gears, and gear bits to build marble-powered computers that can generate patterns, do logic, and count. The MindWare KEVA planks was one of the first items suggested to me that is a staple when it comes to makerspaces. The Structures 400 piece set on Amazon is $89.95. If you have the money, I would buy two sets. I don’t think you can ever have too many KEVA planks. Cubelets are the world’s first uniquely designed robot blocks. The individual blocks are robots that snap together with magnets. The Cubelets SIX include a Drive, Flashlight, Distance, Brightness, Passive, and Battery robot blocks for $129.95. Add on a brick adapter for LEGO bricks for $14.99. If the robot blocks are a big hit in your makerspace, you can certainly go for the Cubelets TWELVE for $279.95 for even more coding and design thinking. LEGO Education has released an early technology and science train set geared for two to five year olds. The train set inspires early learners to explore sequencing, looping, and conditional coding with colored action planks. The planks are laid down inside the train tracks. Each colored plank corresponds to an action. Red is stop. Blue is a water sound. Yellow is music. White is a light. Green is for changing directions. Check out the $189.95 Coding Express train set at this website. The Monoprice Maker Select 3D Printer was only $230 at the time I wrote this blog. It has a heated build plate that measures 8 x 8 with a 7 inch vertical spacing. It is compatible with Windows, Mac OS X, and Linux. 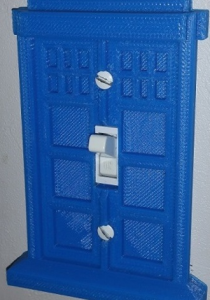 This is a great entry 3D printer for educators looking to get into 3D design. However, if you are looking for a 3D printer for your school’s makerspace, this one probably won’t handle high volume demand. For an entry-level home or education setting, the FlashForge Finder 3D printer is a great low-cost printer at $399. The specs include 1.75 mm PLA for filament, a 5.5 X 5.5 X 5.5 slide-in build plate, and an enclosed design and contained heating components to ensure users of all ages are safe from the high temperatures. Ordering from MatterHackers, you will receive one PLA spool of filament, free shipping, and great tech support. If you find some extra money or a great donor, stock your makerspace with a Glowforge. A Glowforge is a 3D laser printer. It uses a laser cutter/engraver technology to shape wood, leather, fabric, and more. A Glowforge Basic runs $2,500 and a Glowforge Pro is only $6,000. If you can’t find the forest from the trees, which is just a fun way of saying your makerspace is a bit disorderly, this final tip is tree-mendous. Most mavens of makerspaces highly suggest taking your maker equipment out of their original packaging and storing it in rugged containers. The time for great buys on storage is right after the holidays. Walmart, Target, and home improvement stores always have a great selection. Who doesn’t enjoy playing with LEGOs? There are more choices with LEGO today than when we were kids. There are also more choices as to making designs. If you don’t have an engineer or architect in the family, then consider using one of the following tools to convert 3D objects to ones made of LEGO bricks. 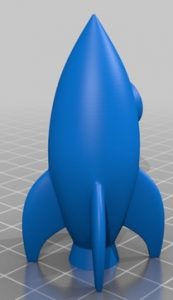 For easy comparison purposes, we’ll use the same file, Cartoon Rocket by frankvb, with each tool so you can compare the quality and results. 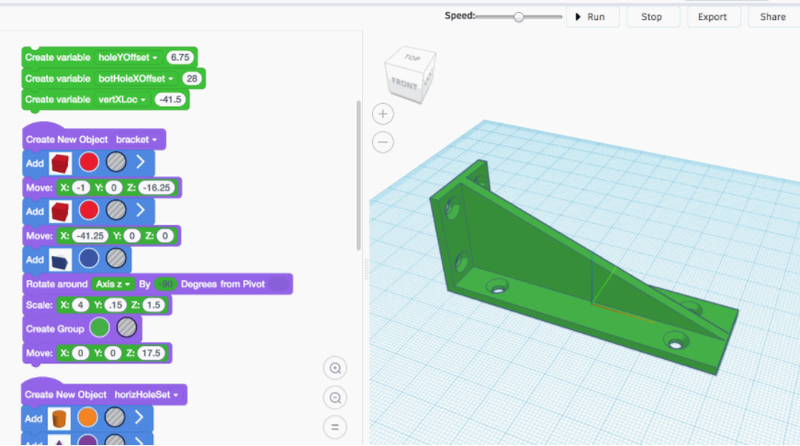 Load (or create) your 3D object in Tinkercad. Click on the brick icon in the top right menu area. Tinkercad will render your object. Larger and more complex objects may take a little longer to render. Select the preferred resolution (1x, 2x, or 3x). 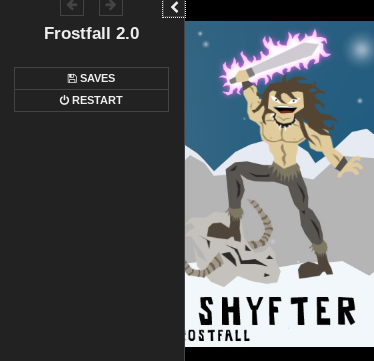 Click on the Layers button to review the design layer by layer. 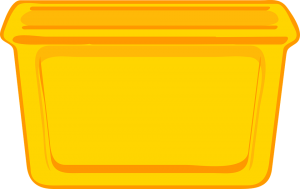 The indicator at the bottom of the design will indicate which layer you are viewing and how many total layers. Tinkercad does not identify how many bricks you’ll need, so you’ll have to make an educated guess. Review the online design and construct your piece, scrolling through each layer as you complete it. Dutch coder and designer Arjan Westerdiep has created Online Voxelizer to help you convert 3D objects to voxels; think of voxels as three-dimensional pixels. One advantage to using Online Voxelizer is that it will identify how many voxels (or 1 x 1 blocks) are used. Begin by opening a .obj or .stl file (remember, the larger the file size, the longer it may take to render/construct your object). Adjust the slider bar (from 1 to 128) to identify the resolution desired. A small slider bar below the resolution slider also allows you to adjust the transparency, which is helpful when identifying internal construction. 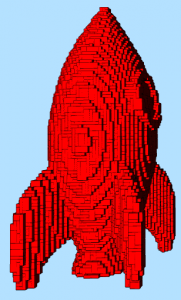 At the highest resolution (128), the cartoon rocket object was 55 x 55 x 128 bricks and consisted of 18,358 voxels (151,735 voxels if the object was solid and not hollow). Click on the 2D icon to open the layer inspector which will slice the rendering for you; you’ll be able to scroll through each layer and refer to it during construction. There is not a way to download individual layers. NOTE: I was not successful with Chrome or Firefox and Online Voxelizer. Microsoft Edge browser had no problems running the cloud-based application. Though you may feel like you are having to jump through a few hoops for your final product, Brickr does provide a nice conversion. To begin with, you’ll need an .obj file to upload. Since my original one was .stl, I went to meshconvert.com, uploaded the .stl file, and chose the Wavefront Object .obj format as the output. 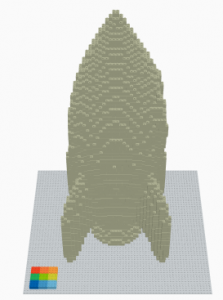 You are now ready to load your shape into Brickr. You will be prompted to specify the resolution; 30 appears to be the default, but was not acceptable to me. So I reloaded my shape and increased the resolution to 96. The resulting construction was decent. For a layer-by-layer map of how to assemble the bricks, click the “Save Instructions” button (bottom left of dashboard), give it a file name, and select whether you prefer the image layers as png, jpg, or svg format (I recommend png). It may make it easier, prior to saving instructions, to select Random as the brick color as this will help you distinguish different size bricks (and possible postpone getting cross-eyed in the process). You will now have one image for each layer; in my case, I ended up with 33 layers (instead of assembling from bottom-to-top, it sliced the construction from side-to-side. 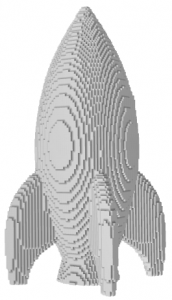 If you are wanting to convert a 3D object that the students will work together to construct, I recommend using Brickr. Once you render to brickified model, save the instructions as .png files and then print each of those files. Label each page with the layer (and possibly hole punch to keep in a binder for storing). Divvy out the pages to various groups of students and have them each construct their portion, which will combine with other groups’ work to create the final amazing LEGO construction. Prior to beginning your project, you might have students measure a LEGO brick and then have them estimate how many bricks it will take to complete the rendering. After they get started, they will definitely want to modify their guess, which is good since that shows they are editing the calculations in their mind and becoming better at spacial reasoning. Once you convert your object, share a screenshot of it with us. 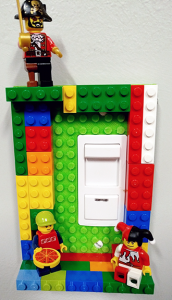 Better yet, share your final LEGO construction (along with how many bricks it took) with #TCEA and #brickify! At Houston Baptist University’s 10th Annual Teaching and Learning Symposium on Saturday, April 14, 2018, the keynote focused on Making Fire: Kindling STEM Learning in Your Classroom. The presentation focused on introducing STEM teaching and learning strategies that work. Allow me to share with you three of the five tips presented. As you read this blog entry, ask yourself which ones of these have you employed successfully in your classroom? Educating students in STEM subjects (if taught correctly) prepares students for life. Those subjects teach students how to think critically, how to solve problems. These skills can be used in life. Source: Adapted from Why STEM? What’s your child learning in middle school? Does it include Python? I wish I had found a way to introduce my daughter to Python. It would have prepared her for the future. If she had learned Python in middle school, she would have had an easier time in college. Neither of us could predict that she would need it as part of her career in digital mapmaking with ArcGIS. We must encourage all our children to begin with coding. Problem-Based Learning (PBL) helps students foster team-building and solve real life problems. Ninety-three percent of Generation Z students prefer real life problem solving. A PBL activity presents a real life problem that captures students’ imagination. It engages them emotionally and intellectually. Over time, they learn to see this problem through the eyes of all stakeholders and develop a multi-faceted solution. Real: The problem must be real. It must involve an authentic engineering challenge grounded in compelling societal, economic, and environmental issues that affect people’s lives and communities. Relate-able: Students must be able to relate to the problem. This needs to be a significant challenge students care about. Do-Able: The problem should be “doable.” For a STEM project to be successful, students should have access to the resources, knowledge, and skills they need to solve the problem—and the scope of the problem should be manageable. Parallel Problem-Solving: The problem must allow for multiple acceptable approaches and solutions…each team of students might choose a different approach for solving the problem, and several different solutions may work. Divergent Solutions-Oriented Process: Students should use an engineering design process—drawing on science, mathematics, and technology skills and concepts—to solve the problem. Standards Aligned: The problem should align with grade-level standards for science and mathematics. 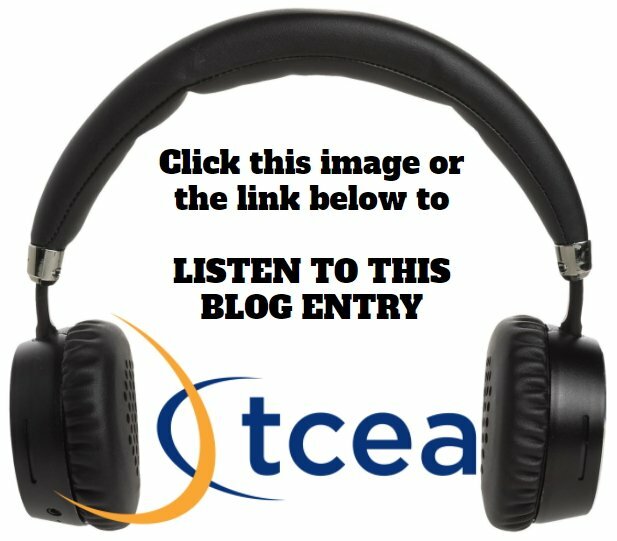 Consider these three examples of student robotics projects that caught my eye at the TCEA 2018 State Robotics Competition. Can you identify how each meets the criteria shown above with the information provided in the photo? Remember, begin with an engaging problem that invites parallel problem-solving. Students will work hard to solve it. They may work even harder if you empower them to develop the problem. With quick access to various communication technologies, why not provide meaningful, relevant, inter-cultural, real-world opportunities for students? One successful strategy involves virtual field trips. Curious about how to take your students on virtual field trips? Be sure to review the Skype in the Classroom Getting Started Guide or connect with others using Google Hangouts in Education. There are many types of connections possible. Explore a few listed below. Second Grade Culture Exchange, an eighth grade class in Minnesota interested in a Mystery Hangout, and a third grade Spanish-speaking class. Mystery Hangout: Mystery Hangout is a social game played with two groups of students. It’s a mix of Battleship and 20 questions. As you might imagine, the possibilities are endless for connecting with educators passionate to unite globally, and what a great opportunity for your students. In a previous blog entry, I pointed out how Minecraft: Education Edition can be used as a virtual construction space. For the folks at Block by Block, this is a real-life exercise in improving common spaces. The work taps into young women from slums who work as design architects and urban planners. Their workspace is Minecraft’s virtual space. 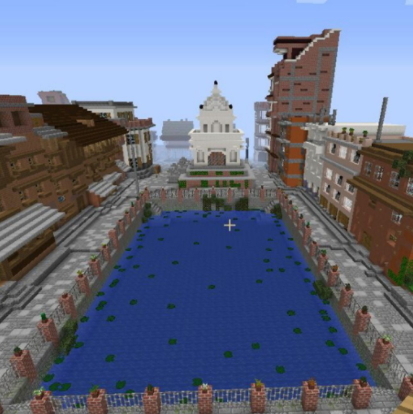 Minecraft facilitates communication about re-designing public spaces (see examples). 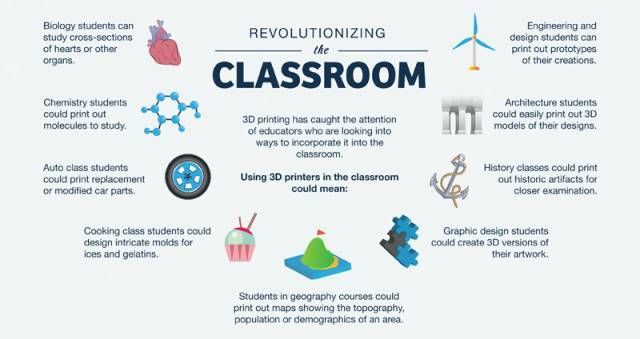 Students go from physical space to virtual to redesigned space. Students are able to work to solve real problems in virtual space. Officials match funding to student-created solutions. 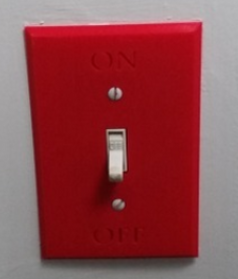 Once funded, designs are implemented in physical space. Amazing. Students learn computational thinking as part of their STEM problem solution development. 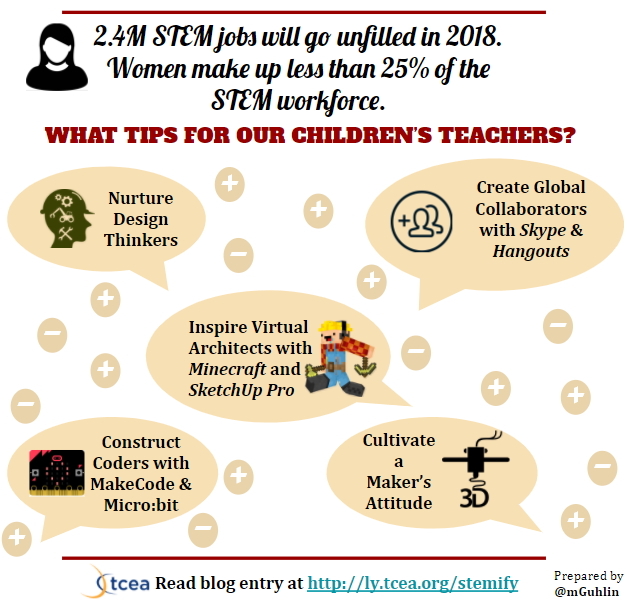 Ready to Create Fire in Your STEM Classroom? Get started with do-it-yourself STEM learning in your classroom. 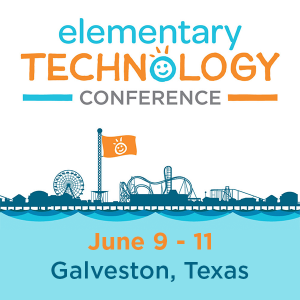 Sign up for one of the upcoming learning opportunities at the 2018 TCEA Microsoft Academy or a professional learning opportunity near you.